From me to each of you, a blessed and happy Thanksgiving! In honor of this special day, here’s a little fall harvest project for your Thanksgiving holiday. 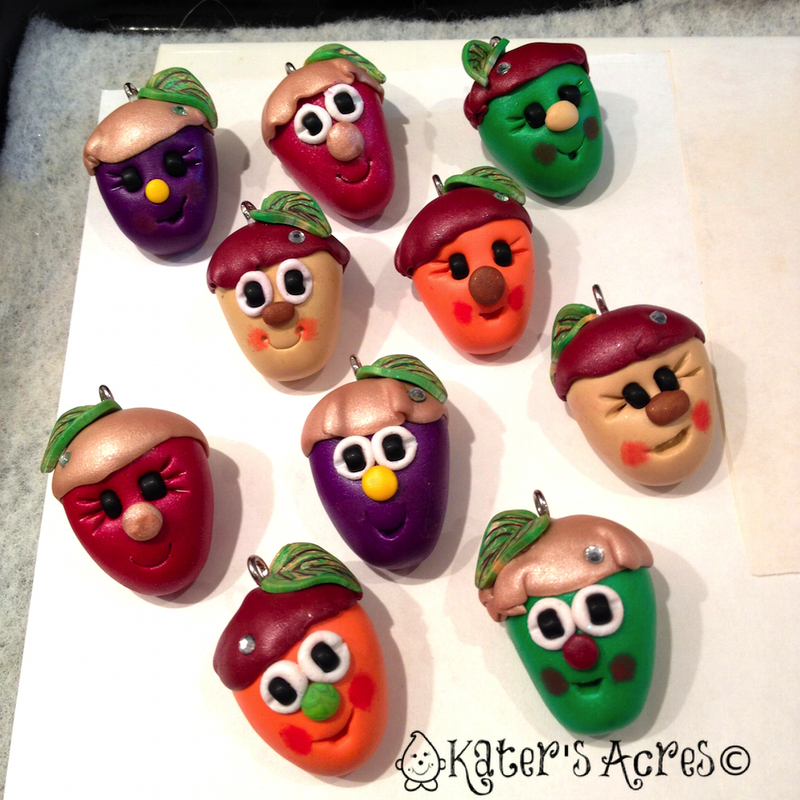 Make this quick and fun polymer clay acorn today or tomorrow … or bookmark it to come back later! Cut off a 1/8 section of your Premo! polymer clay block. Shape your ball clay into a rounded teardrop. 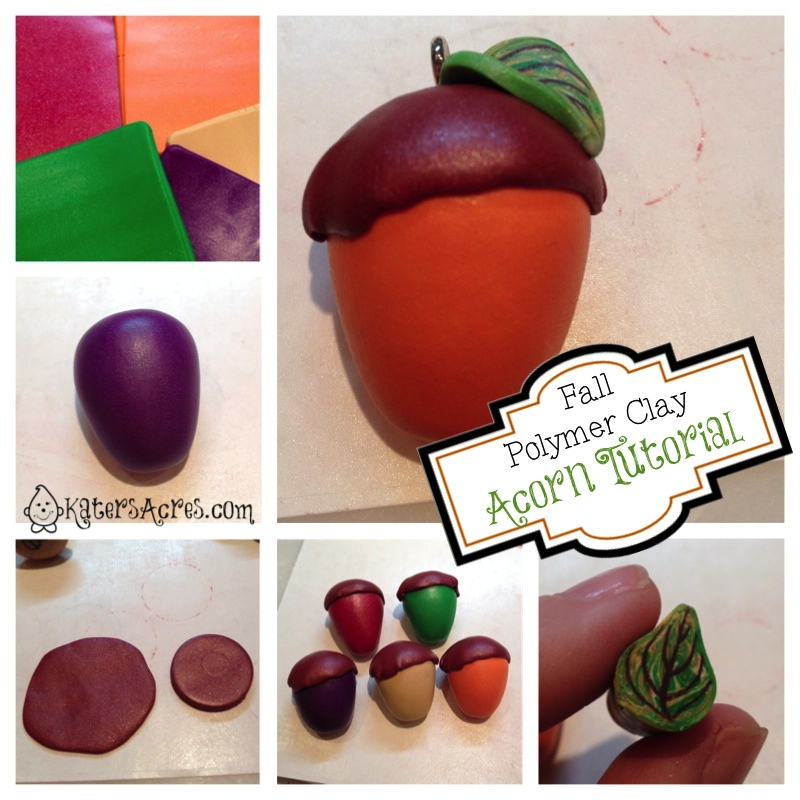 Cut a round of a coordinating color of clay to make the top of your acorn. Gently smoosh the round onto the largest part of the acorn. Cut a slice of a leaf cane (get the tutorial here) and flatten slightly. Affix the leaf to the top of the acorn. Bake your little creations in a 275 degree dedicated polymer clay oven for 45 minutes. Add some eyes, nose, mouth, and maybe even some bling!